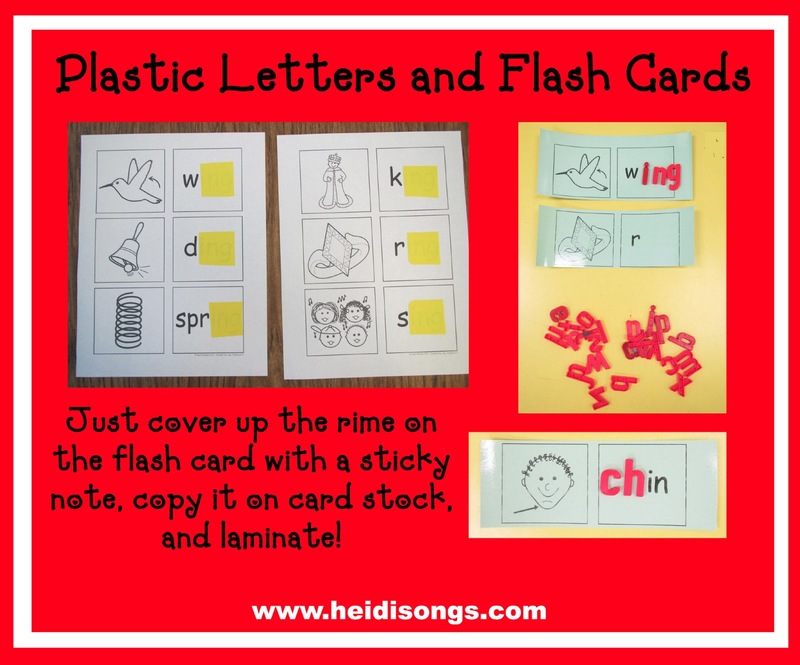 Do you teach first grade? 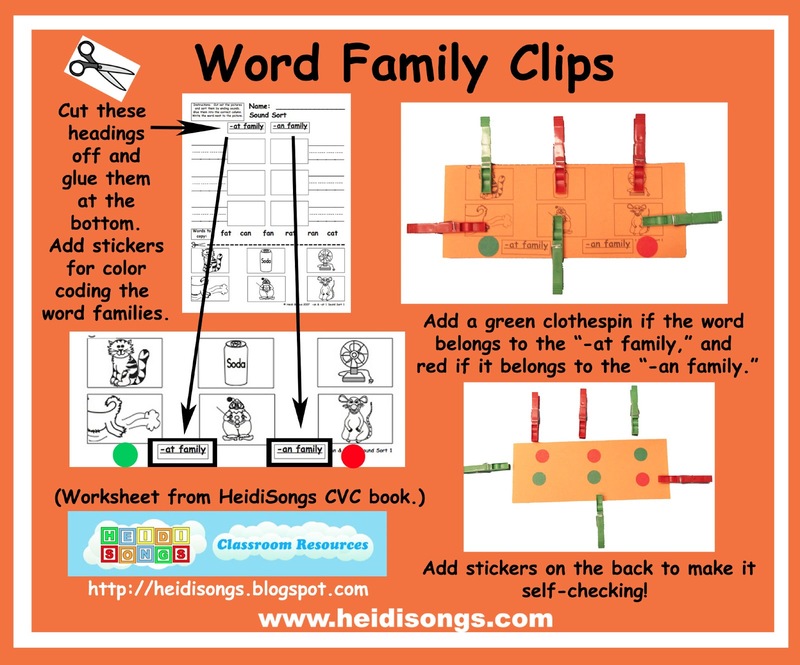 Here is a round-up of my favorite literacy center ideas for those Fabulous Firsties! 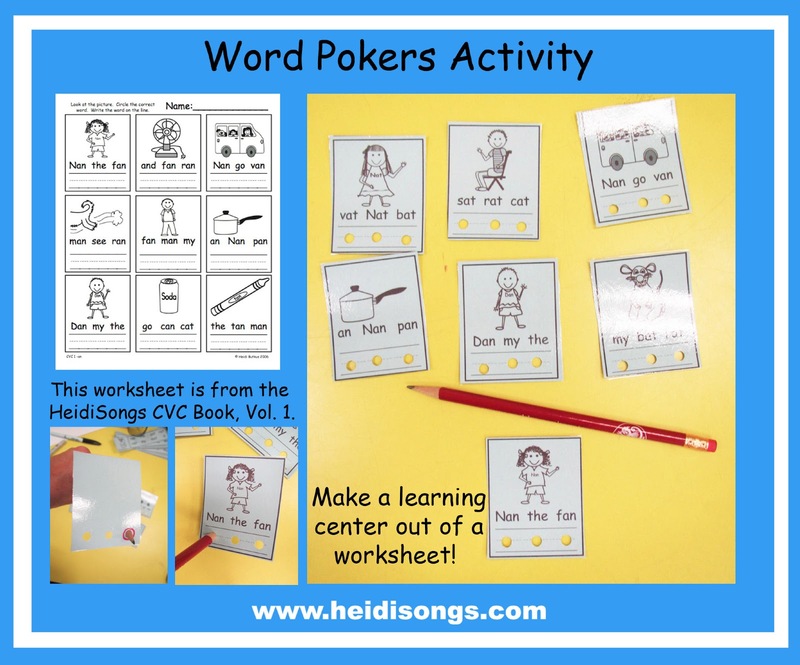 Many of these will also work for advanced Kindergartners, too, of course! And if you haven’t heard the news, well, it’s TRUE! I’ll be teaching a first/second grade combination class next year! My mind has been whirling with ways to adapt these ideas to the concepts taught in second grade as well. But more on that later! 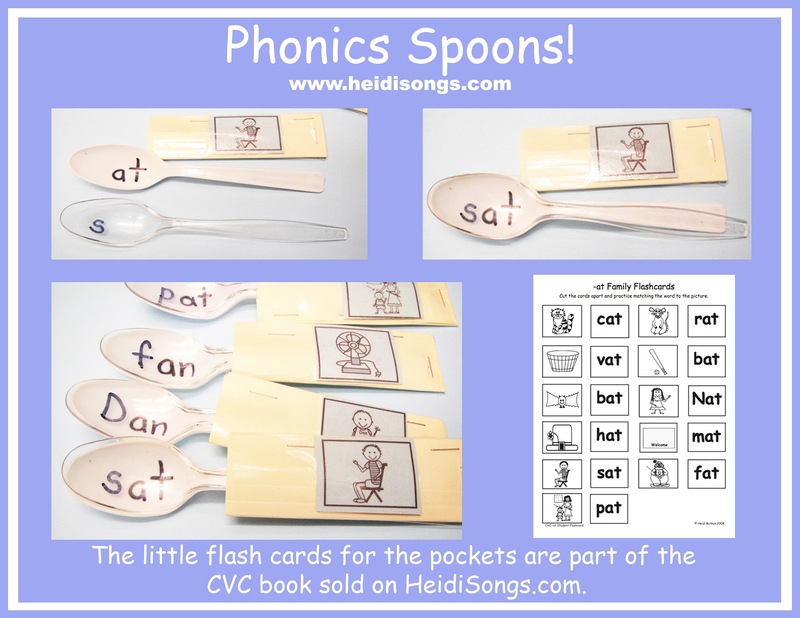 We purchased your first grade set last year. I feel I should be making things with the worksheets and such. There is soo much good stuff. Where should I start? Where to start? Gosh, I would start with the skill that you usually teach first! 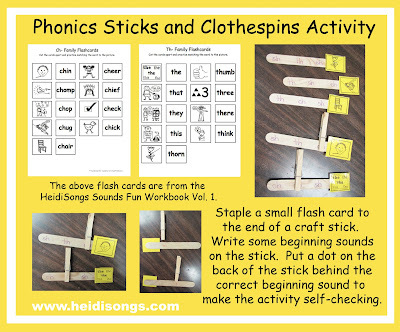 So if you teach beginning sounds first, start there. If you start with digraphs, do that first, etc. That way, you can try out the manipulatives that you have made and see which ones your kids like the best. 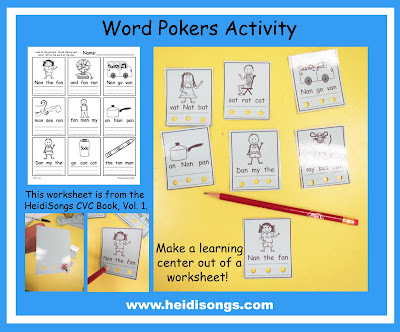 This blog post called “How to Create a Manipulative Out of a Worksheet” has some great ideas for using worksheets to make manipulatives. 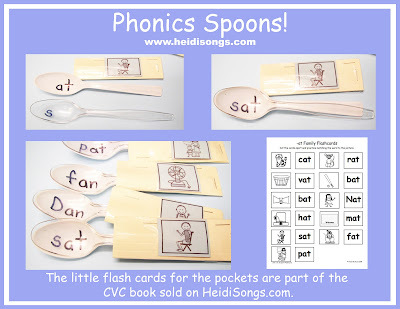 And I LOVE these Phonics Spoons! 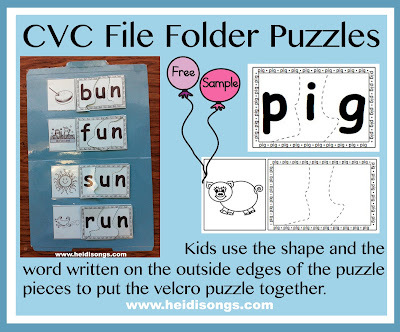 You could probably adapt them to a higher level than CVC words, I bet! And here is another fun idea using cups, but these are tiny little SHOT GLASSES (shh!) that I found at the Dollar Tree! 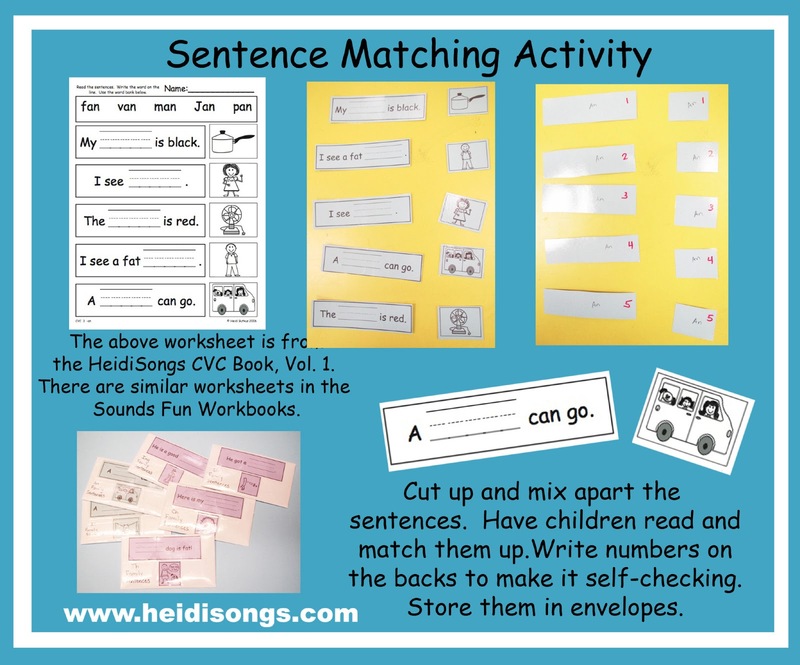 Kids just match them up! Then they can build towers with them when they are through. That’s the fun part, ha ha! These Jenga Block Sight Word and ABC Houses are tons of fun, too- and the download is free right here! 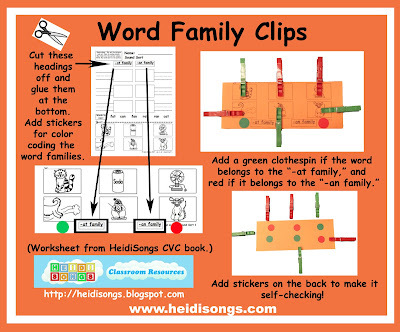 I got the idea for these Vowel Clips from Pinterest, but you could make them with my materials for sure. 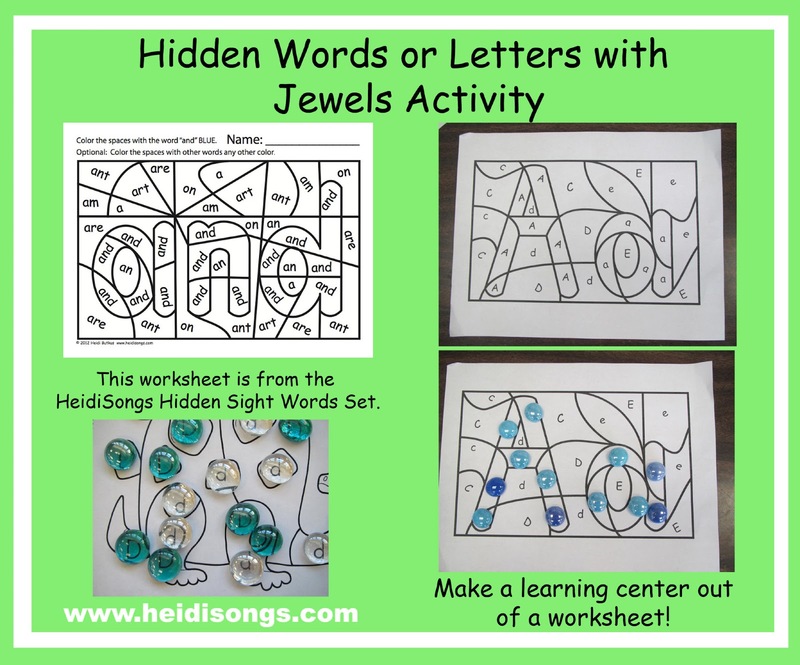 Follow HeidiSongs’s board Literacy Center Activities on Pinterest. 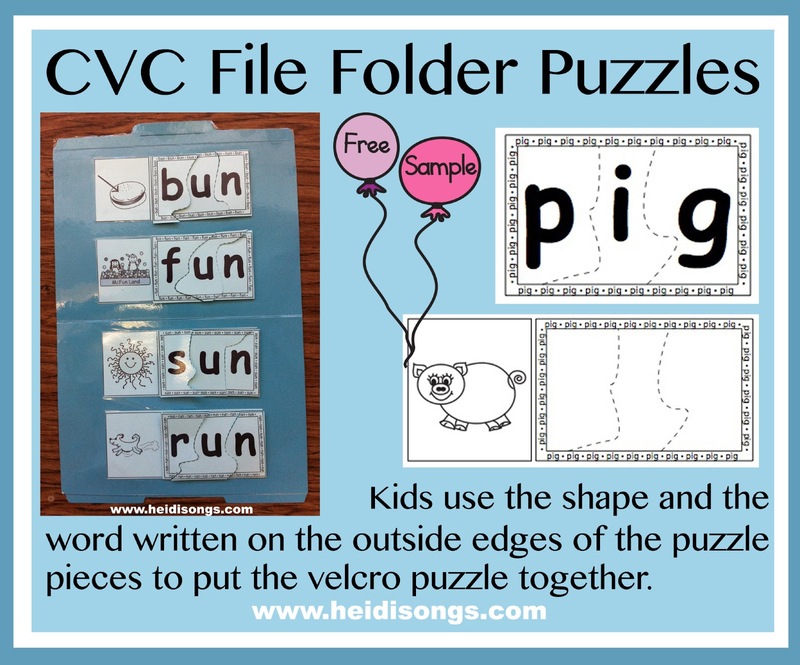 The Sight Word and CVC Spelling Puzzles are really fun too, and do not have to be done with velcro and file folders! That makes them more expensive and time consuming to prep, but kids sure like them! There are a lot more activities that you could make if you look on my Pinterest Literacy Center board, shown above. 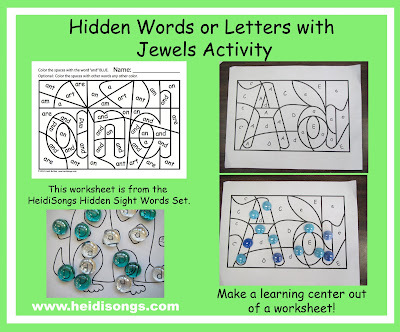 Also, if you adapt ideas from my Alphabet Ideas board to make them work at a higher level, that would work, too. 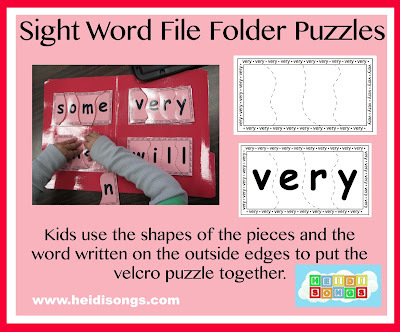 Follow HeidiSongs’s board Alphabet Ideas on Pinterest. I hope that this was helpful, and I know that I will be coming up with more ideas soon!